Tonight I am elated to be crossing a huge name off of my concert bucket list, one that was sitting right near the very top. This compendium includes such luminaries as The Rolling Stones, Green Day, Pearl Jam, and the Offspring among others. However, on this particular night, the rock icons that I'll be checking off are none other than the Red Hot Chili Peppers - the grooviest funk-rockers this side of Parliament-Funkadelic. A few months back, my lovely wife surprised me with tickets to catch Anthony Kiedis, Flea, Chad Smith (not Will Ferrell), and Josh Klinghoffer (not John Frusciante) at the home of the Bulls and Blackhawks - aka, the United Center. The Chili Peppers are longtime residents of my bucket list, a place they've resided ever since I first heard their complex and varied stylings in the opening scene of the Mighty Morphin' Power Rangers Movie, way back when I was six years old. I simply cannot wait to get in the crowd. But, this Saturday night show doesn't even begin until 8:30 and, even then, that's just when the FIRST opening act takes the stage (Deerhoof... meh). In the meantime, I have tons of free time to sit around and marinate in pure excitement. I really need to do something to keep my "Love Rollercoaster" from going completely off the rails. 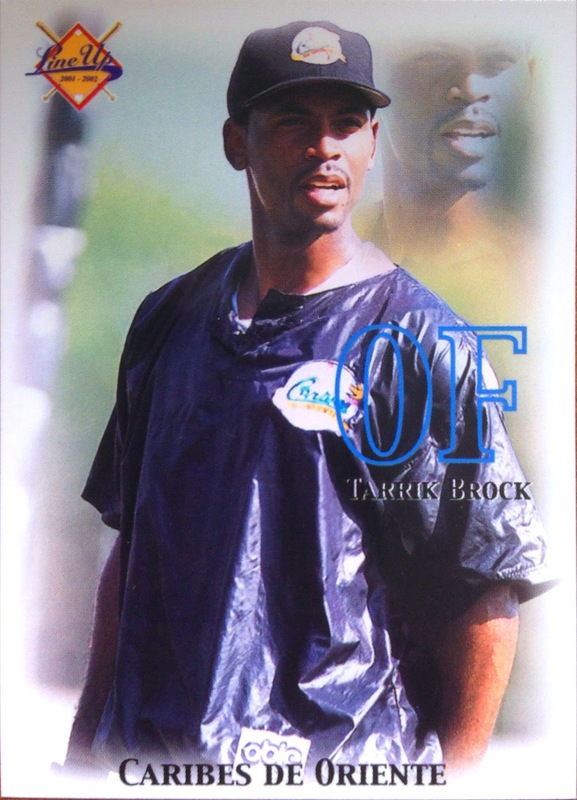 "All my life I was swinging for the fence / I was looking for the triple / Never playing good defense." This cut off of 2012's I'm With You even makes use of some baseball lingo - perfect for this little exercise. Meatloaf would be proud! Crazy-haired bassist, Flea, wrote this tune under the influence of the Stones' Exile on Main St. about, "a feeling and a song," making use of both baseball and faith-based metaphors. 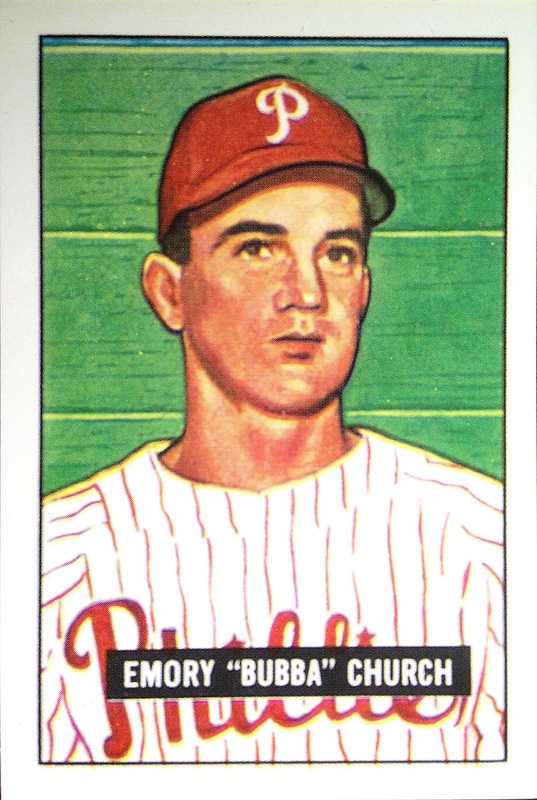 What better cards to represent a song which uses metaphorical references to our nation's pastime and religion than a card which depicts a ballplayer turned famed-evangelist and an eventual Cub who's last name was literally, "Church?" Seems like a match made in"heaven" to me! This tune is about exhibiting one's sexual prowess all throughout the world, a tale which I hear is pretty common for rock bands who hop on planes, trains, and buses to do a fair amount of globe trotting. I'll tell you this - tales from the road about the Chili Peppers' early days are certainly not PG-rated... heck, they might not even be PG-13. 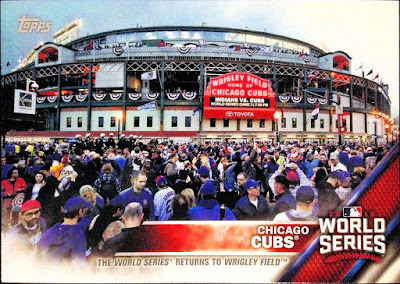 Ignoring the part about finding mates, the Cubs, like all teams, do scour the entire globe in search of baseball talent. International leagues funnel in new talent to the Big Leagues and also keep it fresh during the off-season, as evidenced by these exotic baseball cards from Japan and Venezuela. 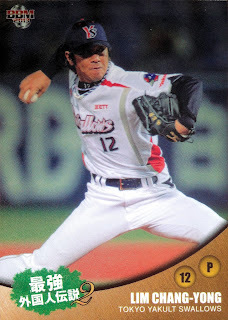 Chang Yong-Lim was a Korean pitcher who starred in Japan and was given a brief trial with the 2013 Cubs; meanwhile, Tarrik Brock had himself a cuppacoffee with the Cubs of 2000, while also playing in the Venezuelan Winter League with the Caribes de Oriente. 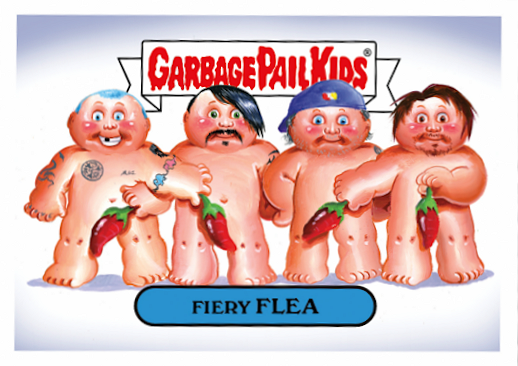 If you encounter someone who claims to have never heard of nor heard from the Red Hot Chili Peppers, I can almost guarantee that the repetitive, chanting chorus of "Give It Away" will convince them of otherwise. This is the song that even people who don't care about the Chili Peppers know, whether they actually know it or not. Hell, "Weird Al" Yankovic even made a Flintstones-themed parody of it and you know you've made it to the mainstream when you earn the "Weird Al" treatment. Here's a card that I won from Mark's Ephemera, who gave it away, gave it away, gave it away, yeah, in a contest this past October. That's the best connection I've got - "Tell Me Baby" if you've got a better one! "Parallel Universe" was something of a departure for the veteran rock band when it was released in 1999. After all, it does not contain any of their signature funky bass lines and has absolutely no background vocals anywhere on the mix. In short, listeners from the turn of the millenium might have thought they were in a "parallel universe" of their own when they first heard this tune on the radio. 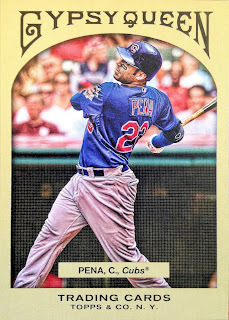 The universe of baseball cards has long been a parallel universe - variations on existing cards has been a big chase for twenty some years now. To illustrate that point, here's a pair of mid-90's parallels, featuring short term Cubbies, that I've not yet shown off on Wrigley Roster Jenga. 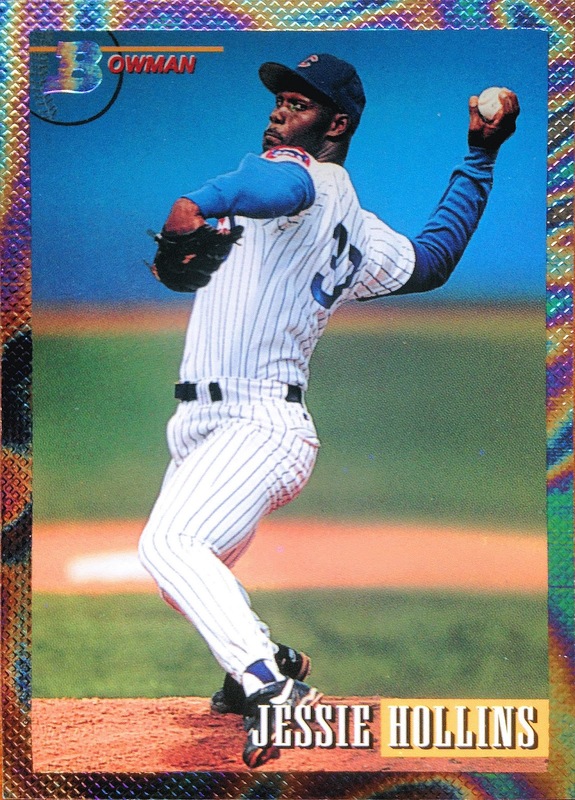 Jessie Hollins is psychedelically depicted on a rainbow foil parallel, found in 1993 Bowman. Meanwhile, Don Wengert is shown on a silver signature parallel from the 1996 edition of UD Collector's Choice, two years before he'd appear in 21 games for the '98 Wild Card Champion Cubs. As a band which continues to make it's hit-making mark on the Billboard charts, it's easy to realize just how far back the band's history extends. The Chili's were formed back in 1983, when hair metal and new wave were all the rage, and continue to make waves in a music biz dominated by indie-pop and electronic dance music today. Their album, The Uplift Mofo Party Plan, was released in 1987 and features the melodic, raga rock single "Behind the Sun." It's oh-so-80's, chroma key music video didn't hit the airwaves until 1992, when the label finally agreed to release it as a single. 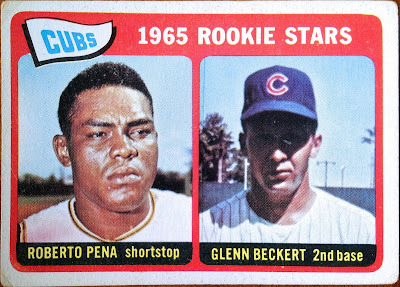 Although this card is included in my CATRC binder as representation for Roberto Pena, the focus in this particular post shifts to his partner in crime, Glenn Beckert. The longtime, fan-favorite second baseman got his rookie card in 1965 Topps, though you might be forgiven for not realizing it. I mean, his face is completely obscured by the shadow produced from the visor on his baseball cap. 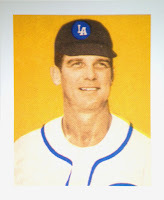 I hope the photographer under the card company's employ that day quickly learned to never take a picture when then the subject is standing "behind the sun." "Cobain can you hear the spheres / Singing songs off station to station / And Alderaan's not far away / It's Californication." This song contains my favorite lyrics that Anthony Kiedis has ever put to paper. References to Nirvana, David Bowie and Star Wars will often win my heart; that said, this is some truly clever and subversive word play to symbolize the crumbling of western society. Sitting here in 2017, witnessing the current state of the White House, societal relations, pop culture, etc. sometimes I think they weren't too far off. 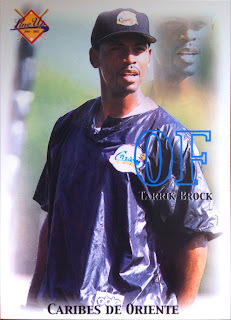 On lighter note, the Cubs once had a little "Californication" creep into the franchise. 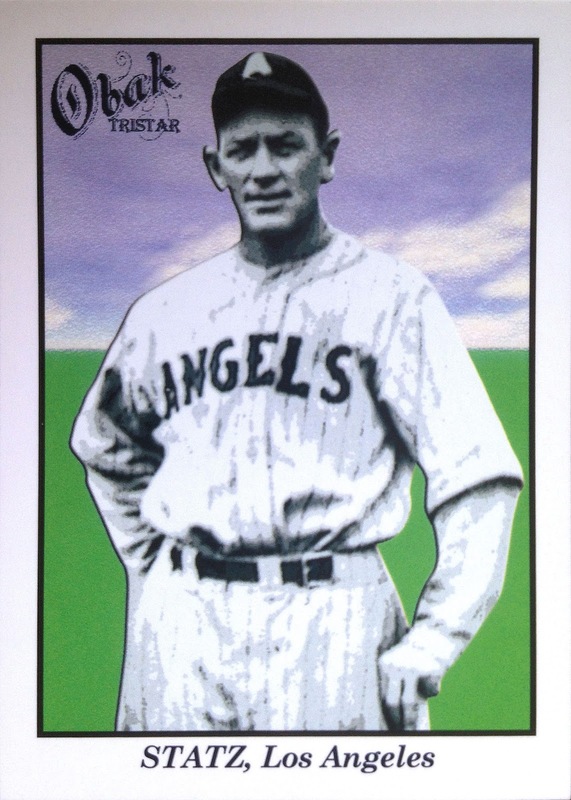 In 1925, Cubs owner William Wrigley bought the Pacific Coast League's Los Angeles Angels and moved them into his new California baseball stadium... a stadium which he called Wrigley Field. 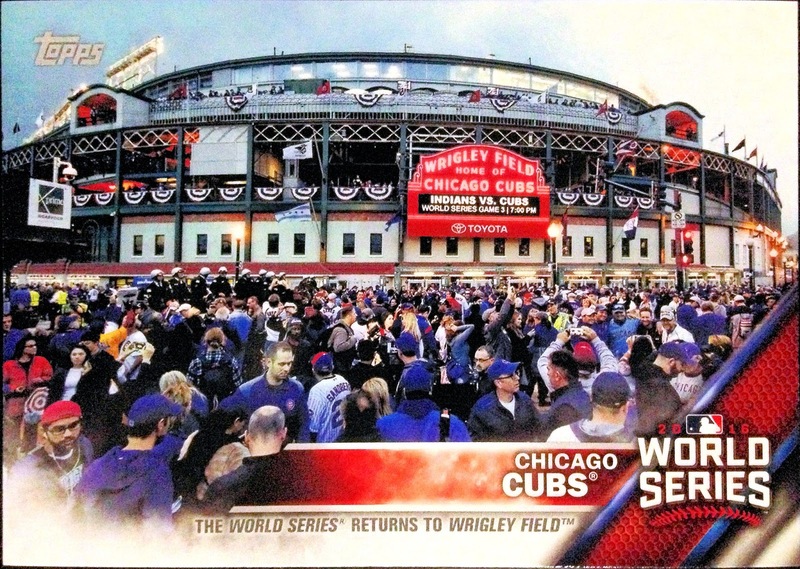 This Wrigley Field played host to the Cubs new feeder team for the next few decades (and later, the MLB version of the Angels). 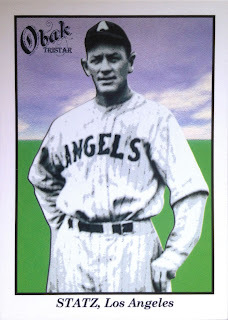 Many a player called Wrigley Field home before moving up to Wrigley Field, including Albie Glossop, seen here on a CCC reprint of the 1949 Bowman PCL set, and Jigger Statz, depicted on a 2009 TriStar Obak. Back when I was still hosting a regular radio show (The Modern Rock Block w/ Tony Burbs on Party934), the Chili's released a series of outtakes from their then-most recent album (I'm With You) through YouTube, digital download and then later through the vinyl-only release, I'm Beside You. While not terribly impressive, as most cutting floor salvages usually are, the B-side of the fourth single, "Hometown Gypsy," was by far my favorite of the bunch and earned a few spins on my show. I'm sure they were truly grateful for the "exposure." 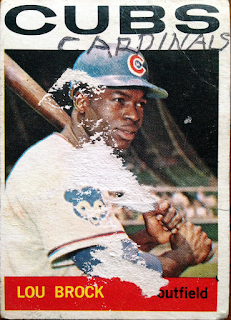 To match the genre-bending, folksy tune, here's a card featuring the HOMETOWN team, courtesy of 2011 GYPSY Queen. 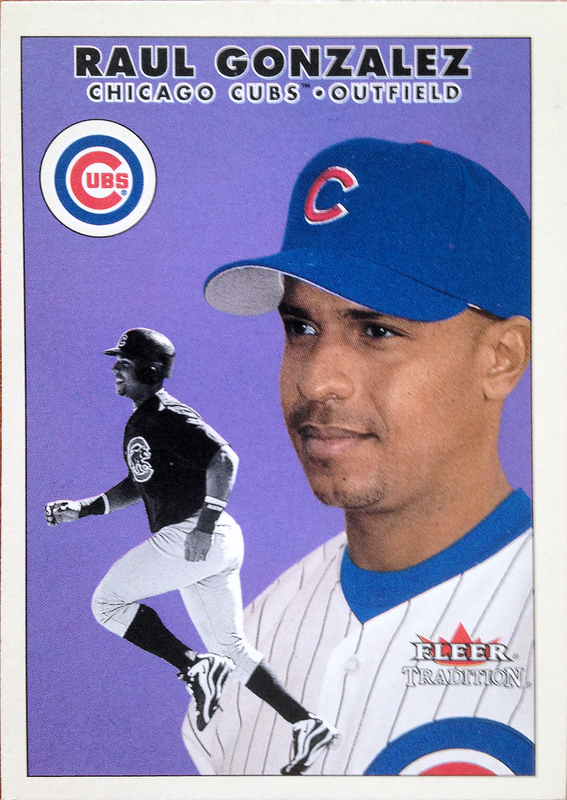 The subject on this particular single is blink-and-you-missed-him Cubs first baseman, Carlos Pena, who was brought in when the franchise was still being held together with veteran band-aids, duct tape and chewing gum. This is an oft and easily forgotten instrumental track, originally found on the Mother's Milk album of 1989. Almost a throwaway, written by then-guitarist John Frusciante and Flea, the Chili Peppers' rhythm section came up with a tune that's since been recognized as one of their best examples of eclecticism. Nevertheless, this song remained locked in the back of the masses' minds until it was later sampled as the main riff for a nu-metal band's breakthrough hit - Crazy Town's "Butterfly." They added their own lyrics over the top; however, for the most part, the Hot 100 #1 single was built entirely around "Pretty Little Ditty." Just like how Fleer Tradition completely ripped off 1954 Topps in 2000. Well, except for the fact that Crazy Town actually asked for (and were granted) permission to do so. 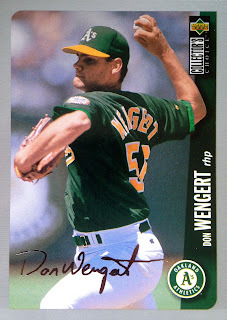 Fleer... not so much. "Dani the girl / Is singing songs to me / Beneath the marquee, overload"
Dani is a composite character who shows up in many a RHCP song - "By The Way," "Californication," "Dani California," etc. - and in this instance, she's standing beneath a marquee, singing songs to the narrator. 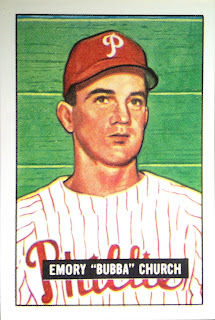 Here's a baseball card that also shows people standing beneath a marquee, one of the most iconic marquees in the United States, at that. When the World Series returned to the "Friendly Confines" this past October, thousands of Chicagoans were hoping to sing beneath this marquee, as well... a very specific song, "Go Cubs Go," which signifies a Cubs "W." However, the game shown here, the first WS contest on the Northside since '45, did not end in such a joyous chorus. I'd say it worked out in the end though. With that, we've reached the end of my cleverness. Try as I might, I just cannot get "The Zephyr Song," "Soul to Squeeze," "Aeroplane," or "Dark Necessities" to work with baseball cards. Oh well. Nevertheless, I hope you enjoyed the ride. If you didn't, I hope you forgive the bad puns and this is all water "Under the Bridge" before long. Anyway, that had to have killed a fair amount of time, right? *Looks at clock* Aww shucks, it's not even noon yet. I guess I'll go for a nice, long, draining run or something and burn off some of this nervous energy. Let's wrap this baby up with what might be my favorite music video of the 2000's and a song that I'll always associate with learning to drive, as it was a big radio hit in the days when my license was a brand new accessory. The Peppers have been there since I was into Power Rangers, through learning to drive, and now when I'm married and signing leases... they've been a presence in my life for a looooooong time. Enjoy the show! Saw them all the way back in 2000 on the Californication tour with the Foo Fighters and they were great live. You'll have a blast! Hope you have a great time. I've only seen them once, way back in '96. They seem to always put on a good show. Great post. Didn't know a couple of songs from this post... and hadn't listen to others in years. Hope you had a blast at the concert and were able to release all of that nervous energy.